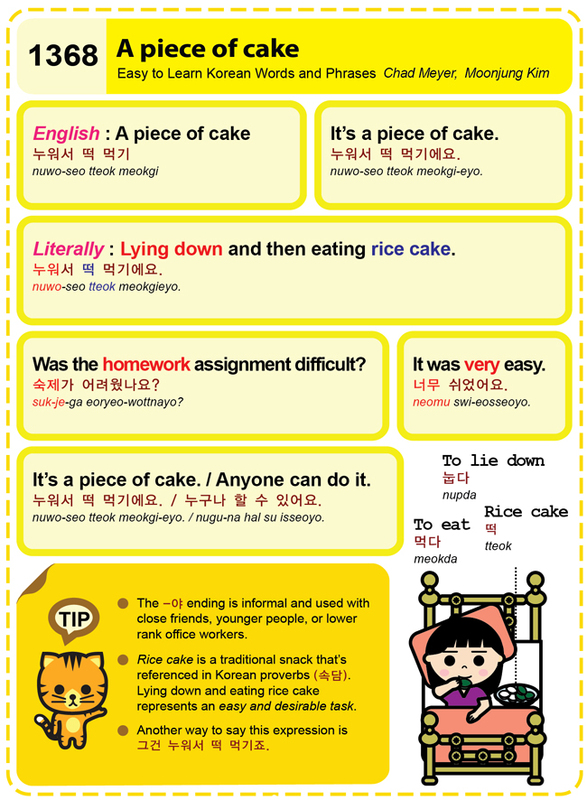 This entry was posted in Series and tagged Anyone can do it., easy and desirable task, it was very easy., it's a piece of cake, Lying down and eating rice cake, Lying down and then eating rice cake., proverb, rice cake, Snack, to eat, to lie down, Was the homework assignment difficult?, 그건 누워서 떡 먹기죠, 너무 쉬었어요., 누구나 할 수 있어요., 누워서 떡 먹기, 누워서 떡 먹기에요., 눕다, 떡, 먹다, 속담, 숙제가 어려웠나요? by easykorean. Bookmark the permalink.